Hands on Linux training from open source experts. 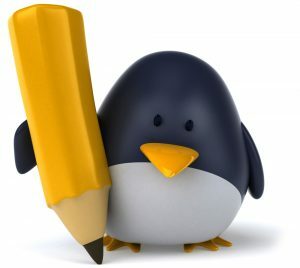 Envescent has a variety of Linux training options available for beginners to advanced users. Our training is for users that wish to use Linux for a variety of purposes. We’ll focus on the skills you are interested in and provide one-on-one coaching to help you achieve them. We can work at as slow or fast of a pace that suits your skill level. Learn the open source operating system Linux and gain valuable skills. Our courses focus on mainstream distributions, such as CentOS, Debian, Linux Mint, RedHat and Ubuntu. By doing so we hope to offer training in software that you will regularly encounter when utilizing open source operating systems. We give one-on-one and group training to individuals and companies. All sessions are offered at the pace and depth that works best for our students. Demand for Linux professionals is rising annually. There is a growing awareness that open source operating systems provide a powerful advantage to their users. Linux has emerged as the most popular open source operating system for companies and individuals. Used for both workstations and servers, Linux is flexible, and can be configured specifically to suit the needs of its users. Open source operating systems offer the advantage of being fully transparent. Users can audit every line of source code, build new functionality and use the operating system as a learning lab for programming. This combined with the security advantages that Linux has over other operating systems such as Windows give users a significant leg up. We offer individual and group lessons for personal and business clients. Contact us today for more information or to schedule training.